But ofcourse, its only a prank! 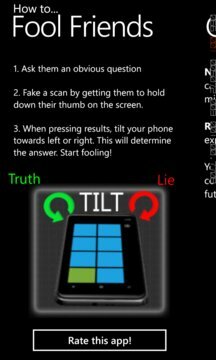 You have control over the results, by simply tilting your phone to the left or right, you determine the answer (Truth or lie). Get the coolest app on the market place. It draws a crowd at parties and great for socializing. 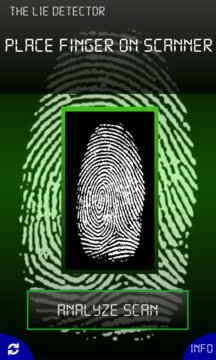 Up to 10 scans per day, upgrade to the full version for unlimited scanning!